Ruthiebear (Titusville, NJ, United States) on 20 December 2017 in Lifestyle & Culture. Someone has folded the picture to many parts before it has come to see us. Great picture right now. Un traitement original pour présenter cette boule de Noël. A beautiful 20th century shaped ornament. Quel bel ornement, c'est merveilleux!!! Bise, bon mercredi tout doux! An eye-catching vintage ornament with its shape!! 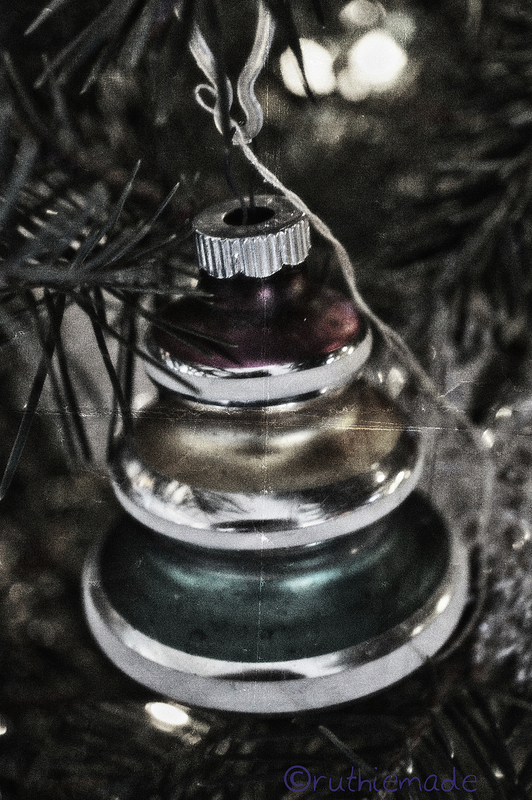 I like this ornament and the treatment you used here; very textural. Quelle boule de noë quelle forme et vue sueprbe. Looks like a stamp of approval. A creatlive looking ornament. Christmas is very near! Nice processing. It looks timeless. This is a fine and delicate work. well done. A great close up image. I like the treatment. A lovely ornament in these muted colors. That is an interesting looking ornament.